The town is best known for its castle, perched high on a rocky crag above the town and every bit as impressive as Edinburgh's. Also the Wallace Monument, a huge monolith high on Abbey Craig to the northeast of town which commemorates William Wallace, portrayed by Mel Gibson in the movie Braveheart. Being so close to both Edinburgh and Glasgow, the sights of Stirling can be visited in a day from either city, but it's also a very pleasant place to stay. 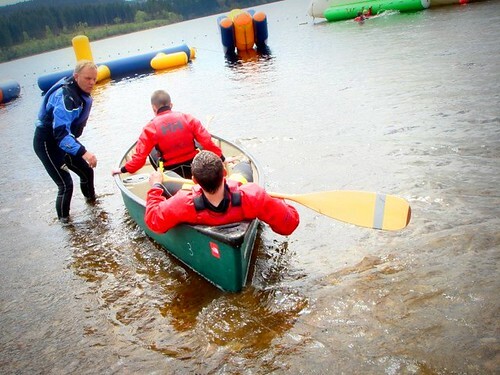 It may lack the cosmopolitan feel of Edinburgh but has a lively buzz of its own during the busy summer months and there is a wide range of accommodation and other tourist facilities. 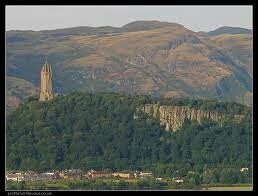 It was once said that whoever controlled Stirling held the key to Scotland. 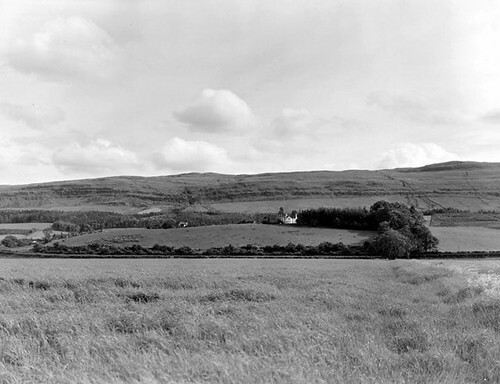 Consequently the town and its surrounds have witnessed many crucial struggles between the Scots and the English. In fact, its name is a derivation of 'The Striveling', meaning place of strife. 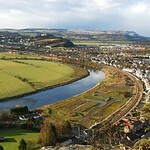 It was here that the Scots under William Wallacedefeated the English at the Battle of Stirling Bridge in 1297. A more famous battle was fought just a few miles away, at Bannockburn in 1314, when Robert the Bruce's small army routed Edward II's much larger English force. 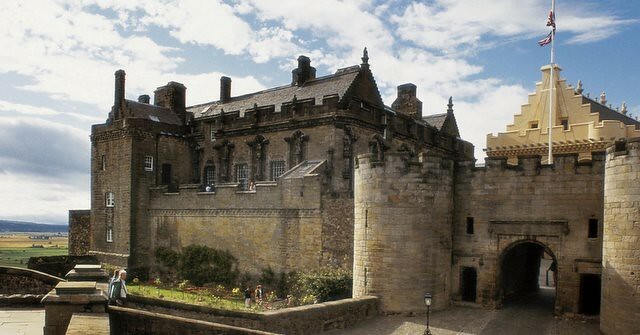 For the next three centuries, until the Union of Crowns in 1603 and James VI's move to England, Stirling Castle was the favourite residence of the Stuart monarchy and the setting for the coronation, in 1543, of the young Mary, the future Queen of Scots. Scholars Restaurant at the Stirling Highland Hotel has an excellent reputation for modern Scottish cuisine. Hermann's, 32 St John St, Tel. 450632, at the Tolbooth on the road up to the castle, is an upmarket choice. It offers excellent Scottish/Austrian cuisine at moderate prices (and a cheap set lunch). 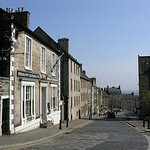 Also on the road up to the castle is Stirling Merchant Bar Bistro, 39 Broad St, Tel. 473929, which serves modern Scottish dishes, while Leonardo's at the Riverhouse, Castle Business Park, Tel. 465577, offers good quality Scottish/Mediterranean dishes. Cheap: The best curry in town can be had at the East India Company, 7 Viewfield Pl, Tel. 471330, with a cheaper pakora snack bar upstairs. A good Italian restaurant is the busy Italia Nostra, 25 Baker St, Tel. 473208, which serves cheap-moderate food daily till 2300; or try La Ciociara, 41 Friars St, Tel. 451552, which also serves coffees and pastries during the day. On the same street, at No 5, is Olivia's Restaurant, Tel. 446277, which offers good Scottish food in an informal atmosphere (cheap to mid-range prices, open Mon-Sat 1200-1430 and 1830-2200). Berties is a café-bistro in the Albert Hall on Dumbarton Rd, Tel. 446930, and a cheap and relaxing place for lunch (open daily 1000-1700). A firm favourite with students is the Barnton Bar & Bistro, opposite the post office on Barnton St, Tel. 461698. It's cheap, open daily till 2400 (0100 at weekends) and serves great all-day breakfasts. A good place for coffee and a snack is the elegant Darnley Coffee House, 18 Bow St, Tel. 474468. 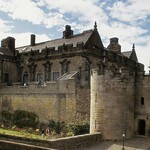 Two of the best pubs in Stirling are the Portcullis, Tel. 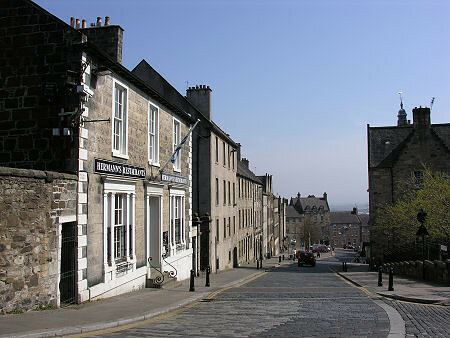 472268, on Castle Wynd, below the castle; and the Settle Inn, further down on St Mary's Wynd, which is the oldest hostelry in town (1773) and very popular with Stirling's large student population. Pivo, on Corn Exchange, Tel. 451904, is a trendy Czech bar which also serves light meals. The lively Barnton Bar & Bistro is also a good place for a drink, as is Whistlebinkies, on St Mary's Wynd. Ceilidhs are held during Jul/Aug on Wed evenings in the Golden Lion Hotel. Check details at the tourist office. 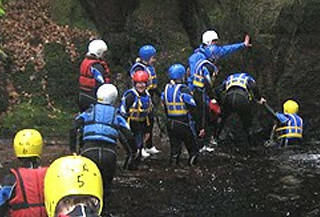 The MacRobert Arts Centre, Tel. 01786 466666, on the campus of Stirling University shows a good selection of mainstream and arthouse films and drama productions. Buses run from the town centre. 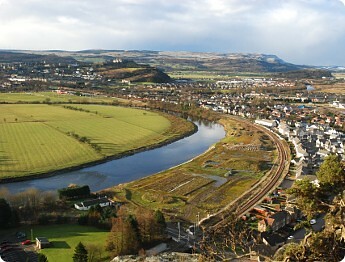 Stirling is easily reached from Edinburgh, Glasgow, Perth and most other main towns and cities by regular bus and train services. The train station is on Station Rd, near the town centre, and the bus station is close by, on Goosecroft Rd, behind the Thistle Shopping Centre. 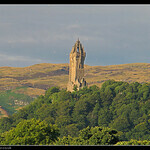 Most of the important sights, except Bannockburn and the Wallace Monument, are within easy walking distance of each other. There's an open-topped 'hop on, hop off' Heritage Bus Tour which runs from June to Sep and includes the castle and Wallace Monument. There are tours every 30 mins from 1000 till 1700. Check details at the TIC. The TIC is at 41 Dumbarton Rd in the centre of town. 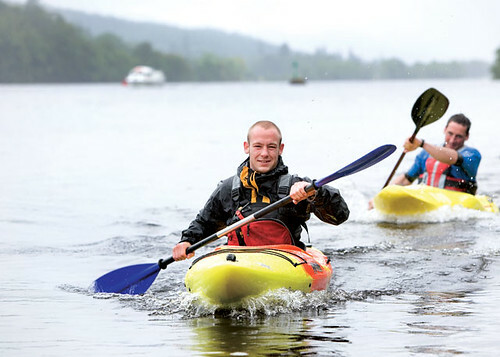 It is the main office for Loch Lomond, Stirling and the Trossachs and stocks a wide range of books, guides, maps and leaflets. It also has information on the various guided walks of the town, including the popular ghost walks which take place Tue-Sat at 1930 and 2130. Alternatively, there are personal stereo guides available from Stags Audio Walks, at 24 Broad St. Tel. 475019. All year Jun and Sep Mon-Sat 0900-1800, Sun 1000-1600; Jul and Aug Mon-Sat 0900-1930, Sun 0930-1830; Oct-May Mon-Sat 1000-1700. Scottish Citylink buses run at least every hour to and from Dundee (1 hrs) and at least every 30 mins to Perth (50 mins) and Glasgow (1 hr). There are also regular buses to Inverness (3 hrs) and Aberdeen (3 hrs), but you'll probably need to change at Perth and Dundee respectively. 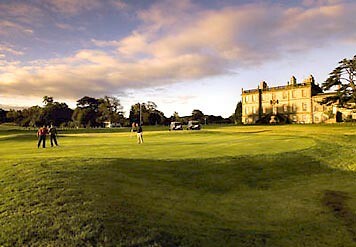 Buses also run to Edinburgh, but as the journey takes 1 hrs you might prefer to take the train. Local buses are run by First Edinburgh, Tel. 01324-613777. There are frequent services to Dunblane, >Doune via Blair Drummond (30 mins), Callander (45 mins), Dollar (35 mins), Falkirk (30 mins) and Linlithgow (1 hr), and several daily to Aberfoyle (45 mins). There are ScotRail trains, Tel. 08457-484950, every 30 mins (Mon-Sat; hourly on Sun) to Edinburgh (45 mins) and Glasgow (45 mins), and regular services to Perth (35 mins), Dundee (1 hr) and Aberdeen (2 hrs). Car hire Arnold Clark, Kerse Rd, Tel. 478686. Cycle hire and tours Wildcat Bike Tours, Stirling Enterprise Park, Unit 102, John Player Building, Tel/Fax 464333; or Stewart Wilson Cycles, Barnton St, Tel. 465292. Taxis Woodside Taxis, Tel. 450005. The obvious place to begin a tour is the immensely impressive castle which stands 250 ft above the flat plain atop the plug of an extinct volcano. From the west there's a sheer drop down the side of the rocky crag, making the castle seem a daunting prospect to would-be attackers, and now presenting visitors with fantastic views of the surrounding area. There's been a fortress here since the Iron Age, though the current building dates mostly from the 15th and 16th centuries, when it was the favourite residence of the Stuart kings. On the esplanade is a visitor centre which shows an introductory film giving a potted history of the castle. From here you proceed to the Upper Square, where you can see the magnificent Great Hall, built by James IV and which was recently restored to its original condition. 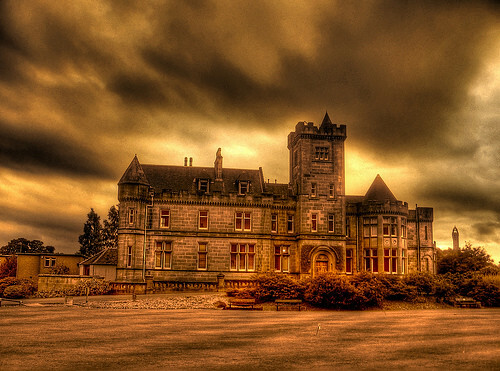 He also built the royal residence known as the King's Old Building, which now houses the museum of the Argyll and Sutherland Highlanders, which traces the history of this famous regiment from its inception in 1794 to the present day. James V, whose wives were both French, brought masons from France to create the spectacular Palace (1540-42), the finest Renaissance building in Scotland. This was where the young Mary, Queen of Scots spent much of her life until her departure for France, in 1548. The interior of the royal apartments is largely bare but you can still see the Stirling Heads, 56 elegantly carved oak plaques which once decorated the ceiling of one of the rooms. Also impressive is the interior of the Chapel Royal, built by James VI in 1594 for the baptism of his son. The 16th- century kitchens are also interesting and have been restored to recreate the preparations for a royal banquet. Apr-Oct daily 0930-1800 (last entry 1715); Nov-Mar till 1700 (last entry 1615). Tel. 450000 (HS). 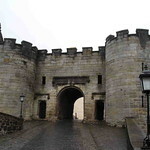 The Old Town grew from around the 12th century, when Stirling became a royal burgh, and spread from the castle down the hill towards the flood-plain of the River Forth. Most of the historic sights are clustered around these medieval cobbled streets. 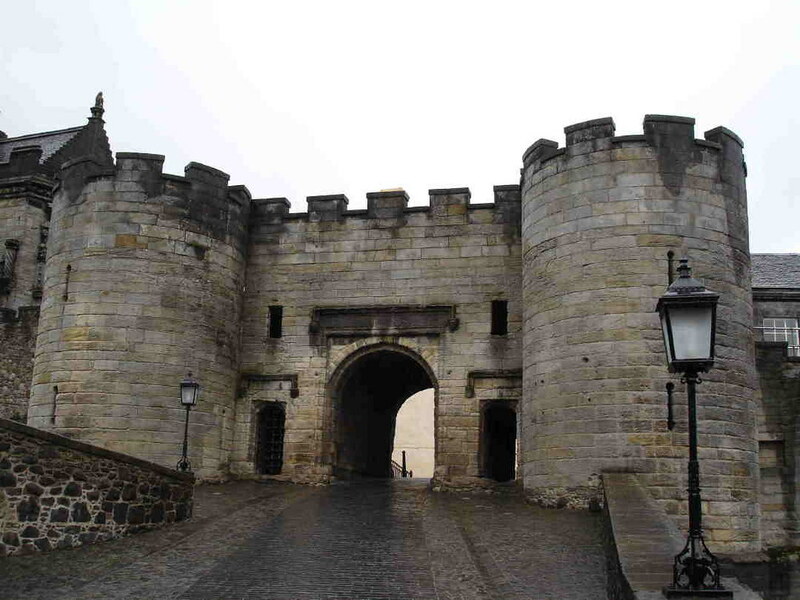 The Old Town was fortified with massive town walls, built in the mid-16th century as protection against Henry VIII's constant attacks in order to force Mary, Queen of Scots to marry his son and unite the two kingdoms – the so-called 'Rough Wooing'. These walls are the best surviving in Scotland and can be followed along a path known as the Back Walk, which starts near the tourist office in Dumbarton Road and runs around the base of the Castle Rock and back up to the Old Town. On the way the path passes Gowan Hill, site of the Beheading Stone, used in numerous executions, most notably that of Murdoch, Duke of Albany, in 1425. Five minutes' walk downhill from the castle is Argyll's Ludging (lodging), the finest and most complete surviving example of a 17th-century town house in Scotland. It was built by William Alexander, founder of Nova Scotia, and then, on his death, was bought by the ninth Earl of Argyll. 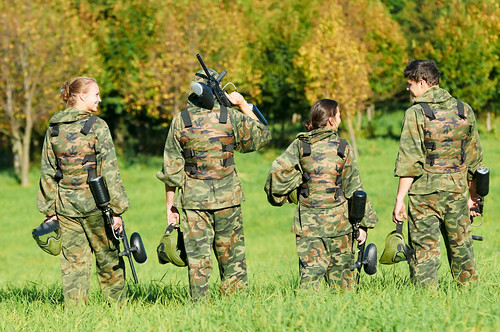 In the 18th century the house became a military hospital, and in the 1960s was used as a youth hostel. It has recently been restored to its former glory and rooms are furnished as they would have been in the late 17th century. Same opening hours as the Castle. Tel. 450000. Further down Castle Wynd, at the top of Broad Street, is Mar's Wark, the ornate façade of a dilapidated town house, started by the first Earl of Mar, Regent of Scotland, in 1569 but left to fall into ruin following his death two years later. 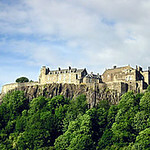 It was further damaged during the 1745 Jacobite Rebellion. A little further down Castle Wynd is the medieval Church of the Holy Rude, where the infant James VI was crowned in 1567. The oldest parts, the nave and tower, date from 1456 and the church also features one of the few surviving 15th-century timber roofs. Behind the church is Cowane's Hospital, built in 1637 by the wealthy merchant John Cowane as an almshouse for 'Decayed members of the Guild of Merchants'. 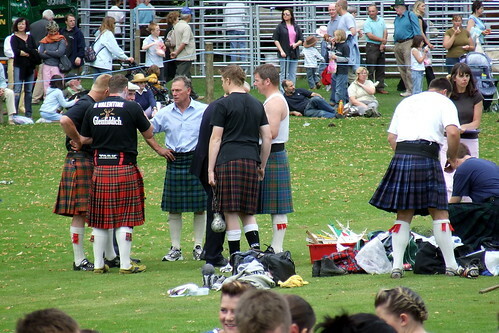 It now houses a tartan display and computer database for those wishing to trace their roots. Apr-Sep Mon-Sat 0900-1700, Sun 1300-1700. Free. Tel. 472247. A short way down St John Street is the impressively refurbished Old Town Jail, where the rigours of life behind bars in times gone by is brilliantly brought to life by enthusiastic actors. 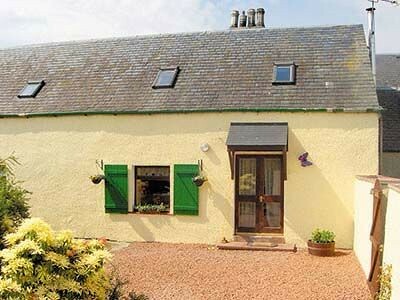 A glass lift then takes you up to the roof for spectacular views across the town and Forth Valley. Apr-Sep daily 0930-1800; Oct daily till 1700; Nov-Feb daily till 1600; Mar till 1700. Tel. 450050. Opposite the jail is Broad Street, centre of the medieval town and site of the Mercat Cross, which is topped by a Unicorn known locally as the 'Puggy'. 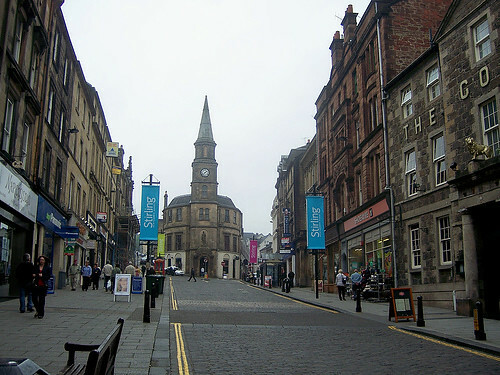 Nearby is the Tolbooth, built in 1705 as the town's administrative headquarters by Sir William Bruce (who designed the Palace of Holyroodhouse in Edinburgh) and used as a courthouse and jail in the 19th century. Early in 2002 it will open as a performance venue with a 200-seater theatre and a studio/rehearsal space. Comedy clubs and events will take place throughout the year and there will be a bar/restaurant. At the bottom of Broad Street is Darnley's House, where Mary, Queen of Scots' second husband, Lord Darnley, is said to have stayed. It now houses a coffee shop (see Eating below). 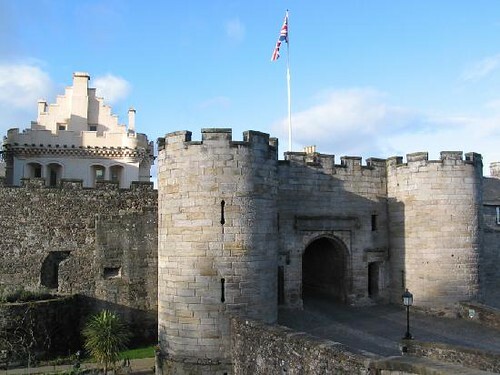 In the Thistle Shopping Centre you can visit The Bastion Jail (opposite Marks and Spencer), which is all that remains of a defensive tower that formed part of the old town wall. You can look down into the Thieves Pit where prisoners were kept. Mon-Sat 0900-1800, Sun 1200-1500. Free. 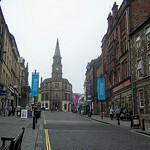 At the bottom of Spittal Street, where it joins King Street, turn into Corn Exchange Road and then head west up Dumbarton Road to reach the Smith Art Gallery and Museum, which houses some interesting displays about the town's history and culture, as well as a fine collection of paintings. All year Tue-Sat 1030-1700, Sun 1400-1700. Free. Tel. 471917. At the north end of the town, a 20-minute walk from the town centre, is the 15th-century Old Bridge, which was the lowest crossing point on the River Forth, and one of the most important bridges in Scotland until Kincardine Bridge was built in 1936. The bridge was built to replace earlier structures, including the famous wooden bridge, scene of the battle in 1297 in which William Wallace defeated the English. A new statue to Wallace located in the car park was decapitated by locals because it bore too strong a resemblance to Mel Gibson. 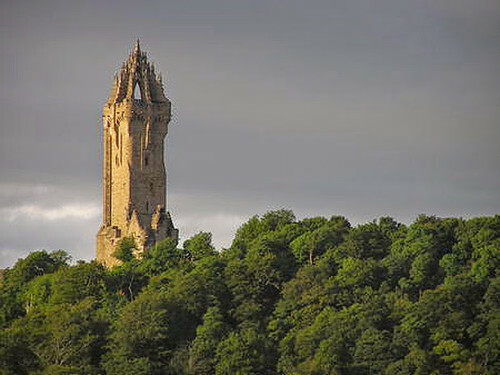 Two miles northeast of the town, near the University and Bridge of Allan, is the Wallace Monument, an impressive Victorian Gothic tribute to Sir William Wallace, hero of the successful but hugely inaccurate film, Braveheart. Wallace was knighted by Robert the Bruce for his famous victory at Stirling Bridge, but following defeat later at Falkirk he went off to Europe in search of support for the Scottish cause. During his absence he was betrayed by the Scots nobles and on his return found guilty of treason and cruelly hanged, drawn and quartered in London. Inside the monument are various exhibits including a Hall of Scottish Heroes and Wallace's mighty two-handed sword (5 ft 4 in long – about the same height as the actor who played him in the film). There are fantastic views from the top of the 220-ft tower – if you can manage the climb up its 246-step staircase. There's a shuttle bus which runs from the foot of the hill up to the tower every 15 minutes. 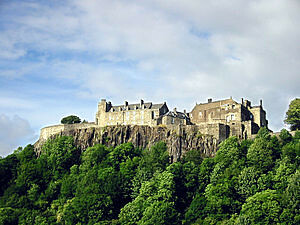 An open-topped tour bus runs to the monument from Stirling Castle every half hour (see Ins and outs above). Jan, Feb, Nov and Dec daily 1030-1600; Mar-May and Oct 1000-1700; Jun 1000-1800; Jul, Aug and Sep 0930-1830. Tel. 472140. A mile east of Stirling are the ruins of Cambuskenneth Abbey, founded in 1147 by David I for Augustinian canons, and once one of the richest abbeys in the country. Robert the Bruce held his parliament here in 1326, and King James III (1451-88) and his wife, Queen Margaret of Denmark, are buried in the grounds. The only substantial surviving feature is the 14th-century belfry. 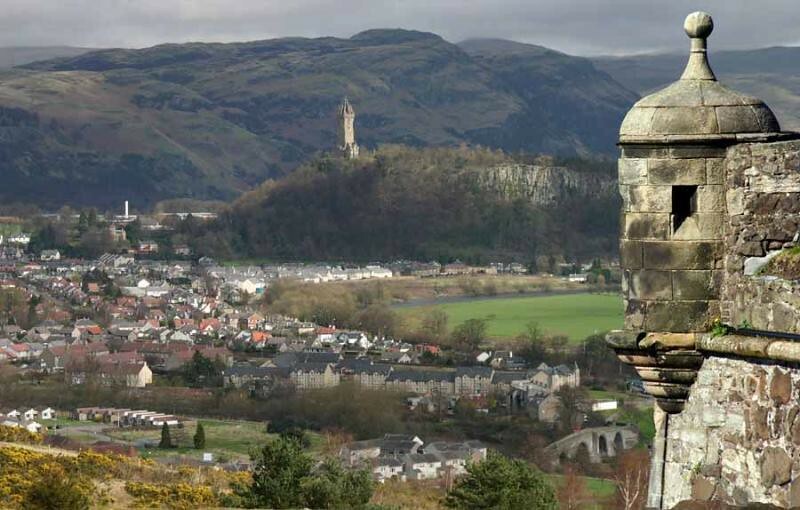 The abbey can be reached from Stirling on foot, via a footbridge over the River Forth, and from the Wallace Monument which is just a mile to the north. Open all year. Free. 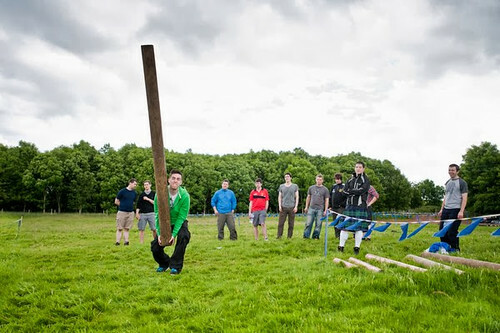 A few miles south of Stirling is the site of Scotland's greatest victory over the English (no, not Wembley 1967), when Robert the Bruce defeated Edward II's army, on 24 June 1314. It was the Battle of Bannockburn which united the Scots and led to the declaration of independence at Arbroath in 1320 (the 'Declaration of Arbroath'). There's not an awful lot to see, but the Bannockburn Heritage Centre puts flesh on the bones and brings to life the full scale of the battle. Outside is an equestrian statue of Bruce, on the spot where he is said to have commended his forces, and the site of the bore stone, where Bruce planted his standard after victory. What's left of the original bore stone is on display in the visitor centre, safe from souvenir hunters. Site open all year, Heritage Centre open Apr-Oct daily 1000-1730; Oct-Mar 1030-1600; closed Jan, Feb. To get there, take buses Nos 51 and 52 from Stirling (every 30 mins). Tel. 812664 (NTS). 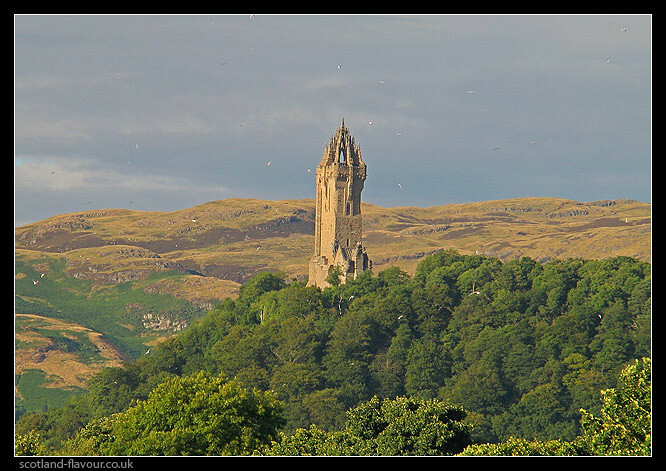 Two miles northeast of the town of Stirling, near the University and Bridge of Allan, is the Wallace Monument, an impressive Victorian Gothic tribute to Sir William Wallace, hero of the successful but hugely inaccurate film, Braveheart. 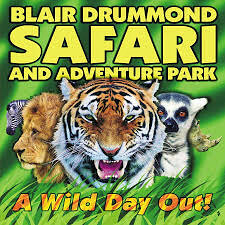 Have a wild day out for all the family at Blair Drummond Safari and Adventure Park near Stirling. 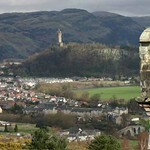 Monument that commemorates national hero William Wallace overlooking Stirling. Excellent views and lots of events that explain his significance. 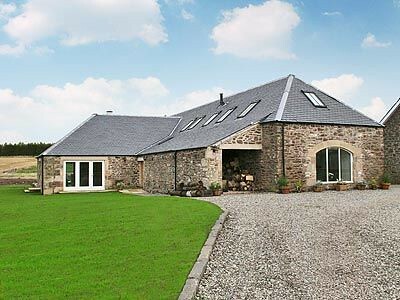 From its elevated position on the hillside, in the shadow of Stirling castle, Castlecroft enjoys lovely views of the Trossachs and Grampian mountains. 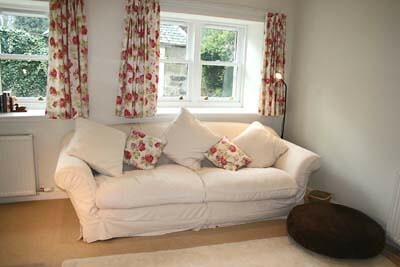 We have five ensuite bedrooms and a family room and welcome well behaved pets. 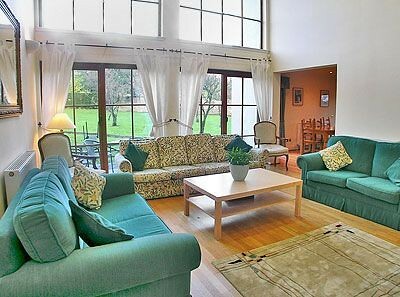 There are lots of B&Bs and guesthouses in the King's Park area, to the south of the tourist office. Try the extremely comfortable Victoria Square, Tel. 475545, which has great views of the castle; or, also on Victoria Sq, Garfield House, Tel. 473730. Firgrove, 13 Clifford Rd, Tel. 475805, is a large, comfortable, Victorian house. 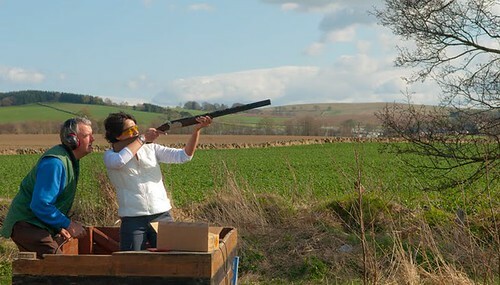 Also worth trying are Number Ten, Gladstone Pl, Tel. 472681. 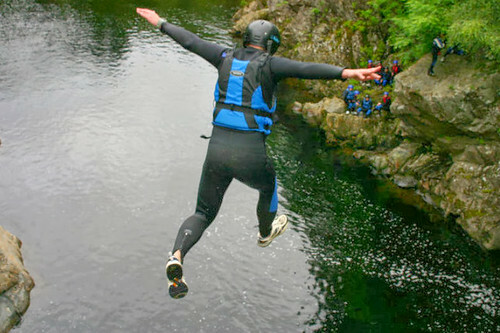 A short distance south of the tourist office is Ashgrove House, 2 Park Av, T/F472640. 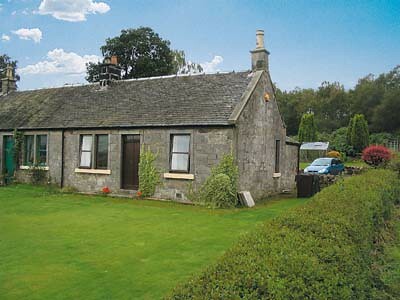 A short walk north of the train station is the recommended Forth Guest House, 23 Forth Pl, Tel. 471020. 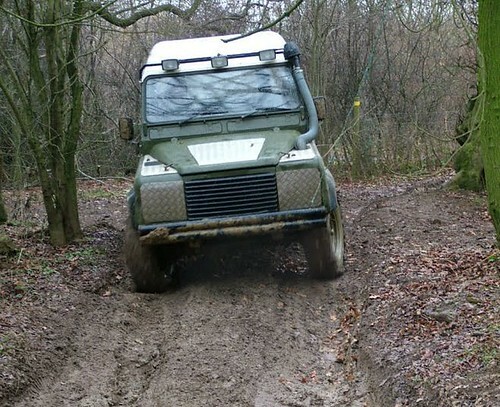 A few miles out of town is West Plean House, Denny Rd, Tel. 812208, a large house which is set in its own grounds. 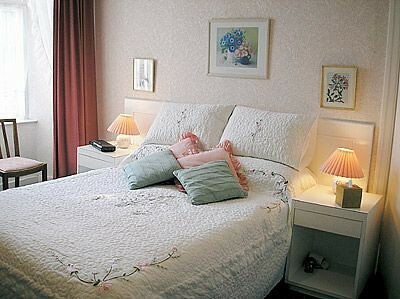 There are also lots of B&Bs and guesthouses on Causewayhead Rd, which leads to the University. These include Ravenswood Guest House, at No 94, Tel. 475291. 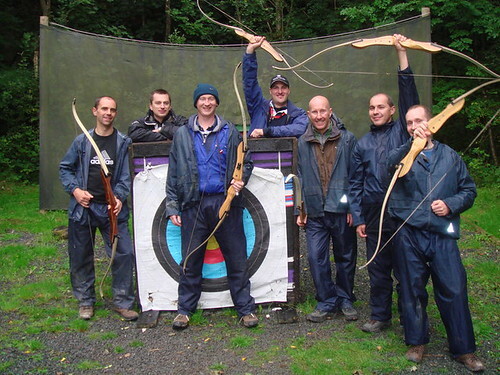 Stirling Youth Hostel, A top quality 4 star hostel is only a few minutes from the castle. Built behind the facade of a historic church next to the Old Town Jail, it offers superb en-suite rooms modern facilities and a friendly international atmosphere. 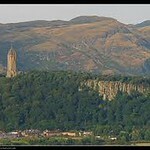 Stirling, is steeped in history, It is also an ideal location for visiting Glasgow and Edinburgh. Another option is the SYHA youth hostel, in a converted church on St John St at the top of the town, Tel. 473442, open all year. There's university campus accommodation at Stirling University, a couple of miles north of the town centre near Bridge of Allan (Tel. 467141, open Jan, Feb and Jun-Sep). Also on campus is the Stirling Management Centre, Tel. 451712, open all year, which offers more luxurious B&B accommodation and full board. There are regular buses (Nos 53 and 58) to the campus which leave from Murray Pl. 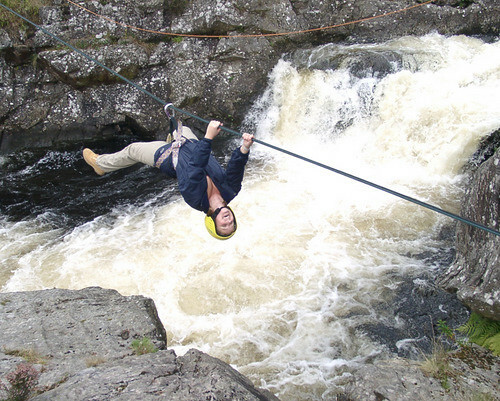 There's an excellent campsite at Witches Craig Caravan Park, at Blairlogie, 3 miles east of Stirling on the A91, Tel. 474947, open Apr-Oct.